Lately, I’ve taken to rambling bike rides in Virginia. I like crossing the Potomac. Like my coffeeneuring friend Mary G., I enjoy looking at the river. It’s more than just open space in the city – it’s a bright, blue, cheerful respite from trees turning brown everywhere. I don’t bike too far on my rambles – twenty miles or so. And they have a casual aspect to them that makes using Strava a bit of a joke. Average speed: 10 miles an hour, thanks to frequent stops to backtrack, eat cupcakes, get lost and take photos. Sunday afternoon is a great time to bike, too. There’s hardly any traffic in DC and, if the weather’s the least bit cool, the trails are largely free of other cyclists and runners. I like exploring new places. I don’t know much about Del Ray in Alexandria so set out there. 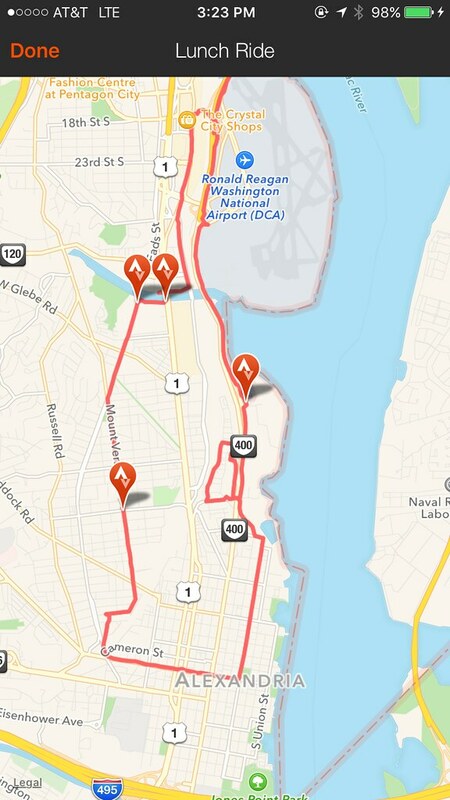 I biked over the 14th St Bridge (the Memorial Bridge is closed to traffic) and then to Crystal City, for a mediocre slice of pizza, then rolled through Del Ray on Monument Avenue. It’s a cute neighborhood that has somehow managed to avoid complete gentrification. I wanted coffee (always be coffeeneuring) but didn’t see any place in Del Ray so, after getting lost for a bit, made a left down King Street and another left on Royal. A cop car at a stop sign freaked me out – was he going to give me a ticket for failing to completely stop with my foot down? But the car was empty, fortunately. Royal led me to the Mount Vernon Trail Alternate, which I knew would take me right by Buzz Bakeshop. Buzz! 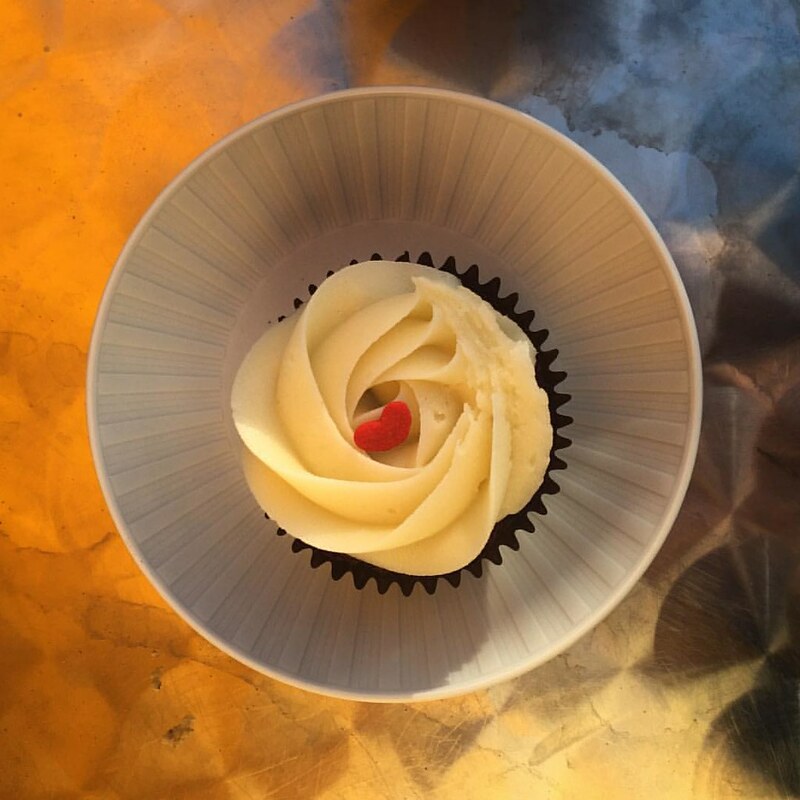 The coffee is decent and the cupcakes are photogenic as hell. Afterwards, I got lost in the development north of Buzz, wondering if it connected back to the Mount Vernon Trail. It doesn’t (I didn’t believe the No Outlet sign). I went back to the MVT and then around the makeshift cyclecross trail that the National Park Service has established around National Airport. Then I zipped home before the early winter sunset caught me. Why am I exploring Virginia? Part of me wonders: could I live there? I like DC but I envy those MVT commuters. And it would be so much fun to live near the WO&D Trail. 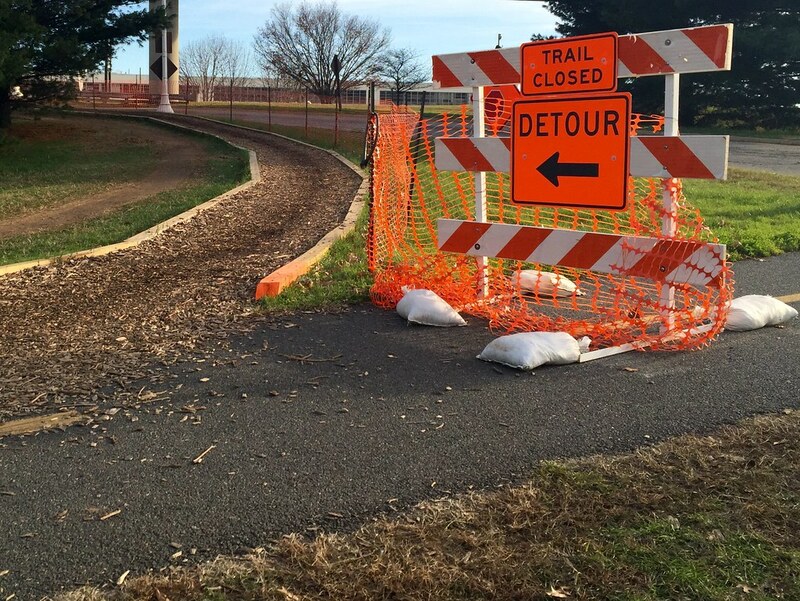 Northern Virginia seems bike-friendly, from the perspective of a Sunday afternoon trail rider. What it’s like during the week?